Everybody recognizes the iconic feet of the Wicked Witch of the East. 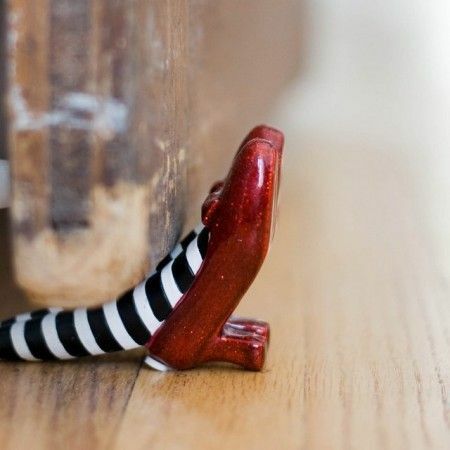 Give the illusion that she’s knocked out right under your door with this doorstop. Made of cast iron, it might not be heavy enough to keep your house on the ground during a tornado, but it’ll keep your door open.